Less than 0.5 inch of precipitation in past 7 days have dried fields enough for farmers to continue planting and spraying weeds. Assess wetness of your field carefully!!! Planting in wet soils can cause severe crusting and problems with crop emergence, especially in soybean. Avoid spraying wet areas with heavy equipment. Mark them with flag and spot-spray with ATV sprayer. Irrigating wheat is recommended to keep up with the water demand. On the 85-90 F days we had on 06-09-2015 wheat uses 0.37 inches per day, which is 2.59 per week. Wheat extracts water from top 3 foot, which means that you need approximately 0.9 inches/foot/week to meet the wheat water requirements. Most of our silt loam soils can hold 0.7 inches/foot at field capacity, which means that wheat will start showing water stress at 0.35 inches/foot (50% depletion). In other words, irrigators on a typical soil in SW Nebraska have an irrigation management span of 1 inch (in top 3 foot) to avoid water stress. In summary, you will need 2.59 inches on demand side and available soil moisture + rain + irrigation on the supply side of equation. Frequent irrigations at 0.5 inches irrigation depth are typically recommended to allow water infiltration and avoid runoff. Probe or use soil moisture sensors to estimate what you already have in the soil get you in the ballpark. Wheat is at flowering stage. Hail damage observed in west Chase County. Stripe rust is moving north and is now observed in Perkins and Keith Counties. 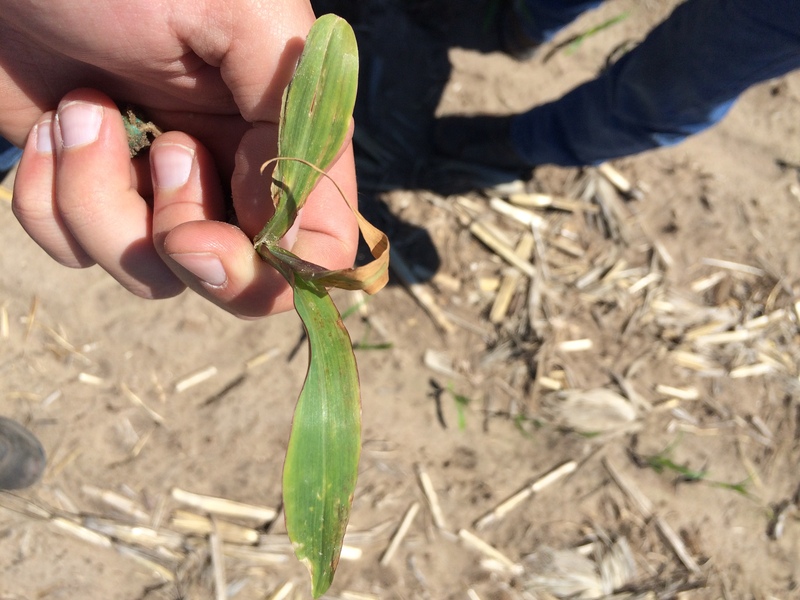 Fusarium head blight (head scab) has not been observed jet, but treating your wheat with Caramba and/or Prosaro is recommended to keep flag leaf protected from disease. 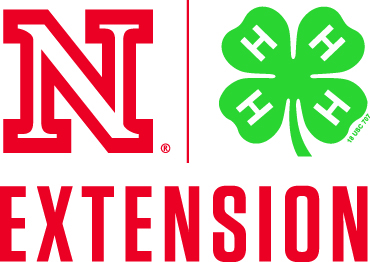 Check Nebraska Extension article on “Distinguishing between head disorders of wheat” to correctly identify head scab. Black Chaff is a seed-borne bacterial disease that started showing up in fields where bin-run seed of susceptible varieties has been planted last fall. No treatment is recommended to control Black Chaff; planting tolerant variety and certified, pathogen-free seed are the best strategies to prevent yield losses caused by Black Chaff. Corn growth stages range from emergence to V4. Soil borne diseases have been observed in SW Nebraska; popcorn seems to be more susceptible then field corn. Assess your field carefully for stand reduction before making decisions on replanting. Economic threshold for replanting irrigated corn planted at 32,000 seeds/ac is about 20,000 seeds/ac (about 45% in stand reduction). 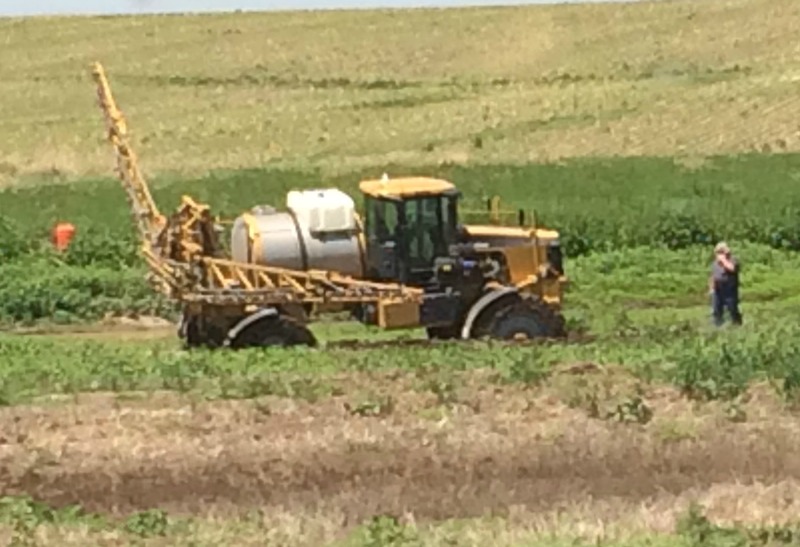 As fields are drying out we see more applicators spraying weeds that have been growing wild in past couple weeks. Amaranth spp. (pigweed species) started emerging. Flowering canopies of field peas (1st pic), potatoes (2nd pic) and wheat (3rd pic). Once you see potato flower you will never forget it! I know, funny! That is what you get with combination of non-native English speaker and spell checker. I corrected it! Thanks for letting me know. Great to see your blog up and going. Great crop reports!